The objective of mold testing and inspection is to provide home owners and buyers better understanding of the air quality in their homes. 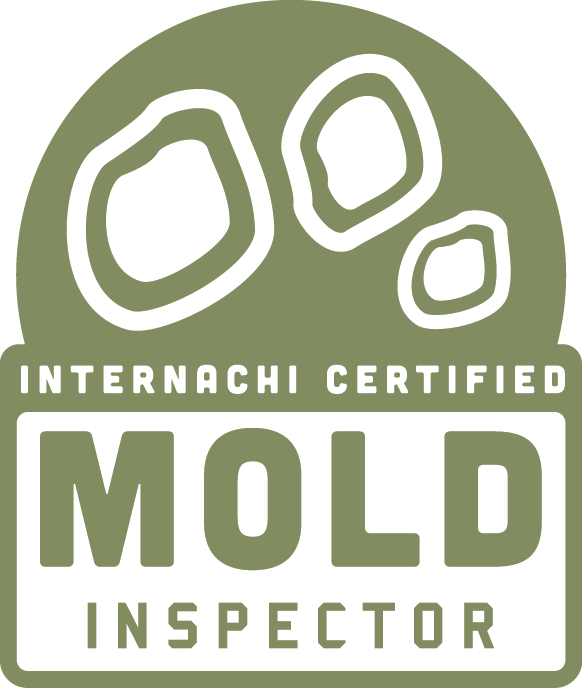 There are two types of mold inspections: "Complete Mold Inspection" and "Limited Mold Inspection." All sampling is performed according to the IAC2 Mold Sampling Procedures. Possibly one surface sampling of an area of concern. Any system or components listed in the Standards of Practice that were not visually examined, and the reasons they were not inspected. Unless the inspector and client agree to an addendum to a limitation of the inspection, the inspection will be performed on the primary building and attached parking structure. Any additional structures can be inspected at the additional cost. Complete mold inspection will take at least 2 hrs. The difference between a Complete Mold Inspection and a Limited Mold Inspection is a limitation of the non-invasive, visual examination of the building. The Limited Mold Inspection does not include a visual examination of the entire building, but is limited to a specific area of the building identified and defined by the client and/or inspector. The cost of a Limited mold inspection is $200. The inspector’s client requests a Limited Mold Inspection to be performed. The scope is specifically limited to the under-floor crawlspace of the building. Only the crawlspace will be inspected, including a noninvasive examination of the crawlspace. At least one mold sample will be taken, typically a tape sample, if apparent mold is visible. Fungi do not make their own food the way plants do. Fungi get nourishment from other living organisms by digesting food externally and absorbing nutrients directly through its cell walls. The main role of fungi in the ecosystem is to break down dead materials, such as fallen leaves, trees, insects and help decompose animal carcasses. Fungal enzymes that assist fungi in breaking down dead materials are what enable fungi to damage wooden and other organic components in a building. Molds can damage food, stored goods, and building materials of houses. Mold spores are ubiquitous and can be found both indoors and outdoors. Mold spores cannot be eliminated from indoor environments. Some mold spores will be found floating through the air and on settled dust; however, they will not grow if moisture is not present. There are many symptoms of mold exposure. Current evidence indicates that allergies are the type of diseases most often associated with molds. An allergic reaction is the most common symptom which could include wheezing and difficulty breathing. According to the Centers for Disease Control, inhalation of fungal spores, fragments (parts), or metabolites (mycotoxins and volatile organic compounds) from a wide variety of fungi may lead to or exacerbate immunologic (allergic) reactions, cause toxic effects, or cause infections. Certified mold inspectors cannot offer medical advice to the clients. This article is provided as information only. People with health problems that may be related to mold should seek a physician trained in occupational, environmental or allergy medicine. Clients may wish to consult with a healthcare provider regarding any health problems they might be experiencing.